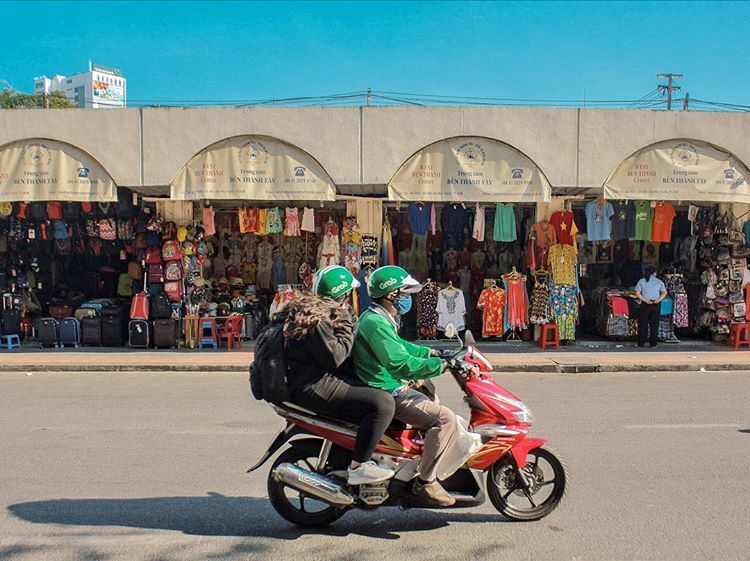 If you have ever had the chance to visit Ho Chi Minh City, you know that parts of its charm comes from the endless wave of motorcycles, weaving in and out of the chaotic yet somehow orderly rhythm of traffic. 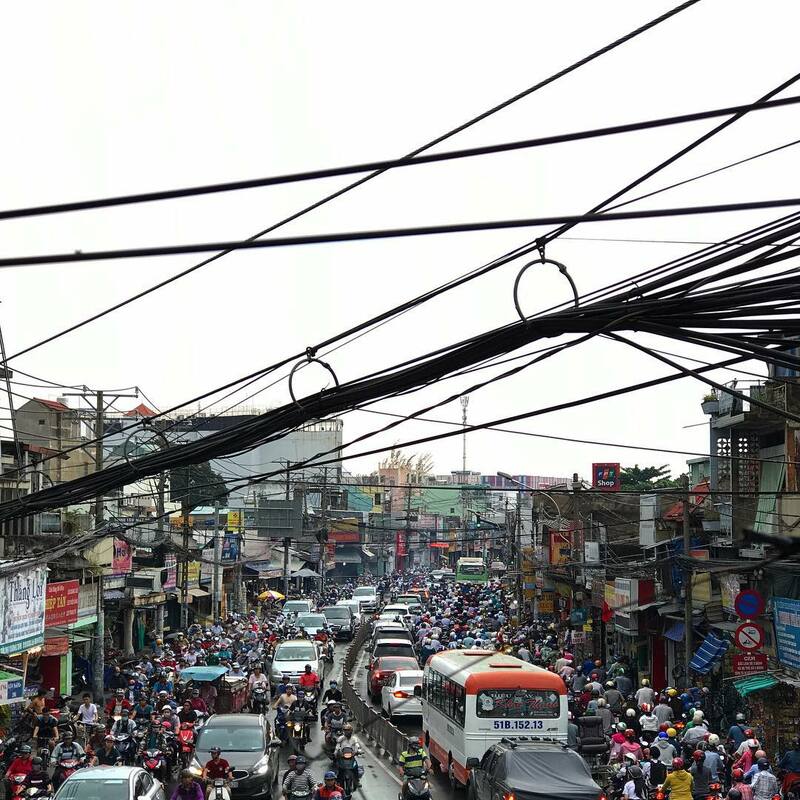 Indeed, the sight of motorcycles by the hundreds upon hundreds and the drivers able to maneuver erratically and skillfully through it represent the fast-paced and restless lifestyle of Saigon’s inhabitants. Yet, however captivating and entrancing it may seem, from a pedestrian point of view, one cannot help but wonder ‘how in the world do we cross the streets if every endeavor is potentially life-threatening thanks to constant flow of speeding motorcycles?’ Fortunately, you need not fear as it is time for your helpful dose of local travel tips. 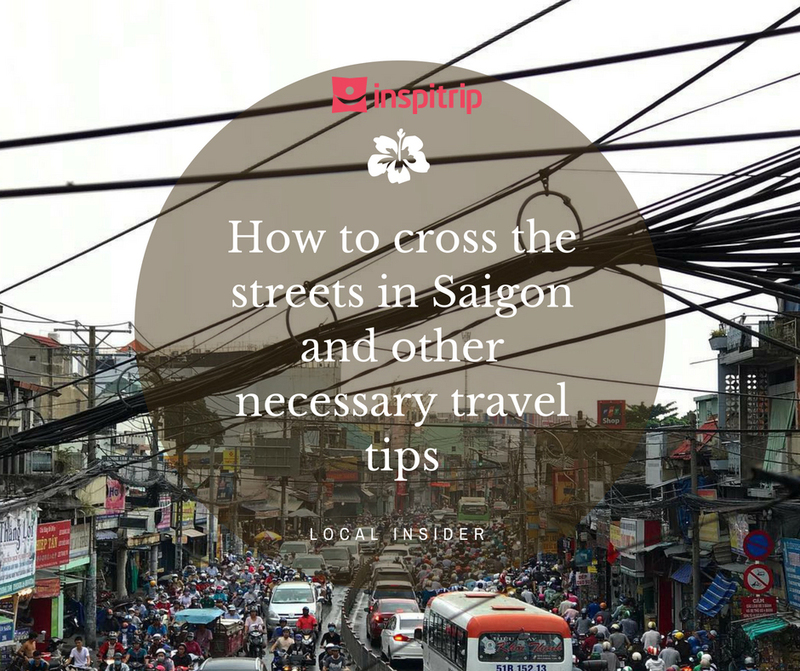 So, without any further ado, here is ‘how to cross the streets in Saigon and other necessary travel tips’. First things first, if you are reading this then you are either already in Saigon or intend on visiting. If so, then learning how to cross a Saigon street ought to be a top-tier priority. It might seem daunting at first, but once you learn the secret, you will soon master the art of Saigon street-crossing. One of many local travel tips to safely reach the opposite side of a busy street in Ho Chi Minh City is to be fearless. Sounds counter-intuitive, doesn’t it? How can you not fear something which you are afraid of? As a matter of fact, there is an unspoken and universal rule among traffic participants, which means that they will automatically slow down should they see any oncoming obstacles. Nevertheless, in Saigon, where red light-running happens far more often than not, this might not be so true. …but once you get the hang of it, everything will be a breeze. With that said, what you need to do first is to carefully watch out for any approaching vehicles, then to proceed to fearlessly step into the road. The most crucial thing is to make sure that the nearing drivers see you, preferably by raising your hand, so that they can slow down. Another important thing for you to bear in mind the next time you traverse across a Saigon street is to keep a steady pace. By doing this, you allow oncoming vehicles to have time to anticipate your crossing and, in turn, steer clear of your path. The most important tip, is that the more you hesitate, the more potentially perilous it becomes for you and others. Be consistent, and drivers will avoid you. If you are the one for fine dining or just simply eat out a lot, then you will probably notice that tipping has become somewhat ridiculous in some countries. Nowadays, tips can range from 15% to almost 21% per cent of the final bill. What is more, you will often get dirty looks from servers should you tip poorly. Therefore, what you have left with is customers being obliged to tip even when service is subpar. In regular restaurants in Vietnam, tipping is neither needed nor expected. However, the concept of tips in Vietnam is still relatively new, which is why it is only practiced in upscale places such as the likes of international hotels, bars or fancy restaurants and spas. But for the rest of the establishments in Vietnam, the service standard of which is quite low, tipping is not expected. Even in hip coffee shops like Phuc Long, a famous coffee shop chain, tipping is unnessary. That is why the main guideline here is to tip whenever you see fit, which is to say when you receive polite, warm, professional or exceptionally good service, and at your own discretion. If you receive the said level of service in regular restaurants or bars, then 5% of the total bill is enough. Suppose your taxi driver is extremely helpful and friendly, the best way to go is probably to round up the bill or hand him a 10 000VND note to let him know that you appreciate his service. As for spa or massage, then 50 000 – 100 000VND is reasonable. Lastly, for tour guides, should they provide quality service, a $10 total tip is just the right amount. 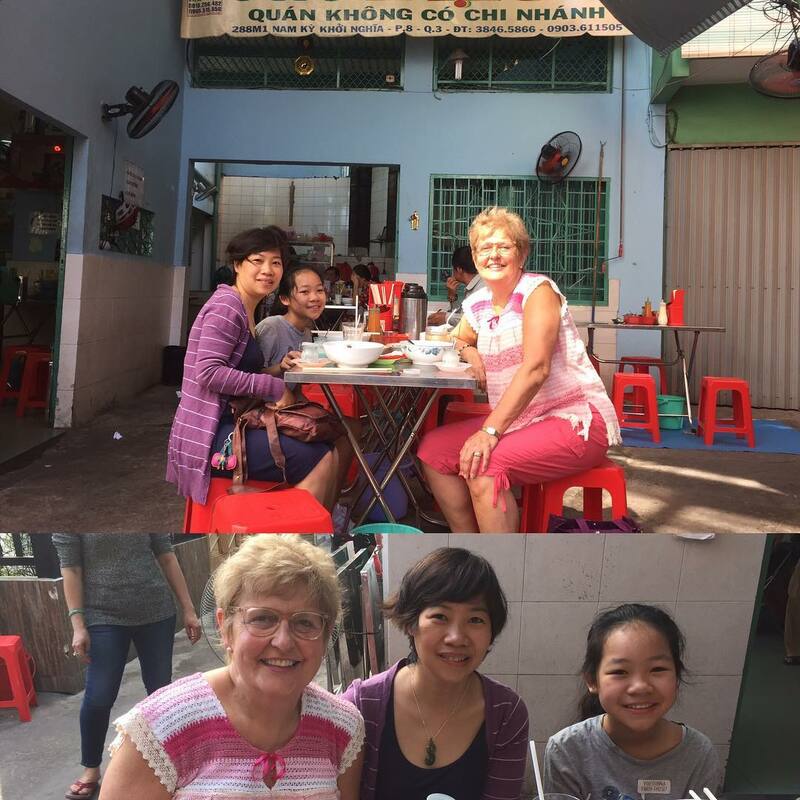 Imagine that you are enjoying your lovely getaway in a foreign country, in this case Vietnam, and you spend all your morning exploring cafes, taking Instagram-worthy photos and checking in at every memorable spots. Then, at the end of the day, your phone is out of juice and you reach for your charger only to find that the plug just will not fit the sockets because there is one missing prong or one extra. Just like that, you have to spend the next day or even the rest of the vacation being technologically deprived. The Europlug, peculiarly, is rather common in Vietnam. Such a predicament, should you ever find yourself in one, is a nightmare for modern travelers. So in the spirit of avoiding the discussed scenario, here is your guide to plugs in Vietnam. For your next session of ‘Trivial Pursuit’, there are actually as many as fifteen types of plug. The three most common plug-types in Vietnam are the Europlug or the CEE 7/16, the American standard NEMA 5-15 and North-Central American Standard NEMA 1-15. Each type has its own technical specifications, so be cautious when plugging. 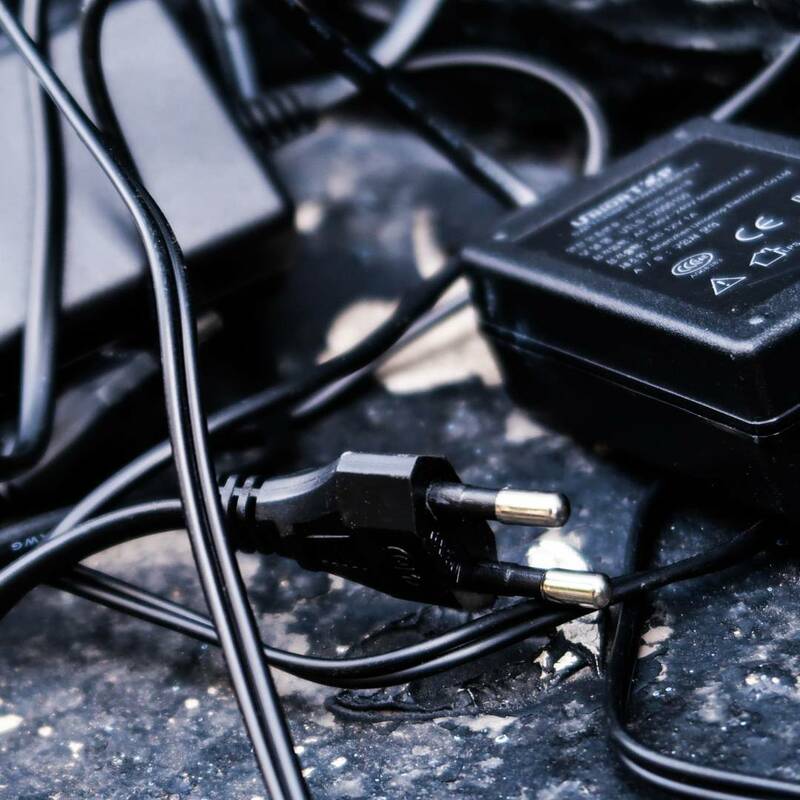 Some of the best local travel tips advise you to arm yourself with a variety of adapters so that you do not have to deal with not being able to charge your device. The next best thing when you do not have the suitable kind of plug is to prepare an emergency battery so that you can recharge your phone or tablet while you try to find an adapter. Do you remember the time when we go to a different country, relying almost entirely on a paper map for direction and a small phrase book for communication while struggling to catch a cab? That is not to mention dealing with drivers who just wish to keep the meter going by taking an unusually long route. Thanks to the wonder of modern wizardry, no longer do we have to suffer. 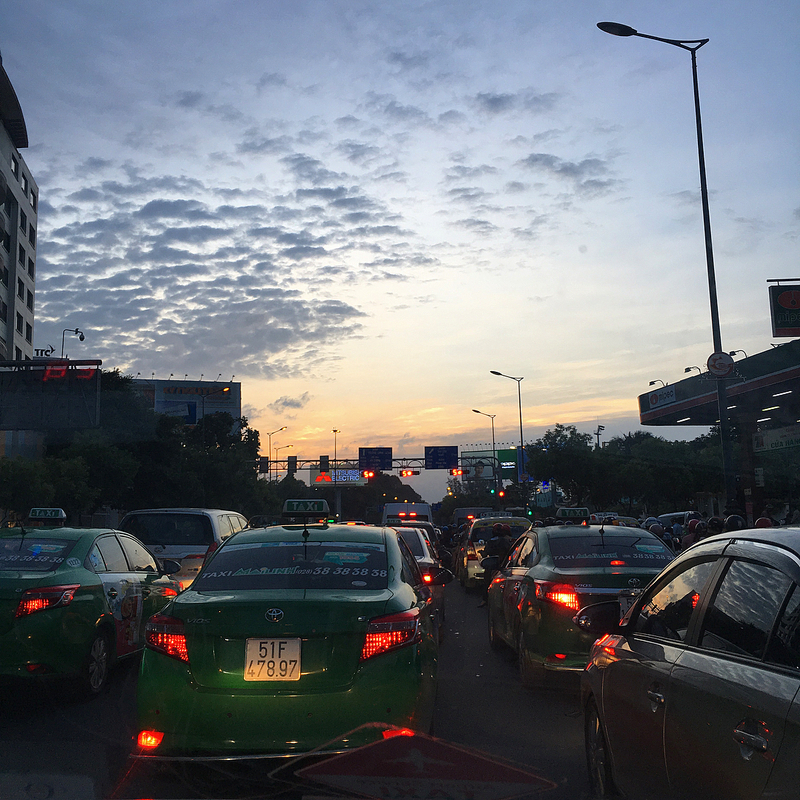 Ever since its debut, Grab has become the most popular transportation service in Vietnam. For our next installment of local travel tips, get to know Grab. With the Grab app, not only will you be able to input your location and desired destination, but you will also be provided with information of your driver, your trip’s length and cost. What is more, you get to choose which form of payment, whether it is cash or card, and mode of transport, automobile or motorbike, that is most convenient for you. The app is available on two of the most popular mobile platforms, Android and iOS, so all you need is to visit your App Store or Google Play, download the app, go through all the necessary installation steps and you are good to go. But do be noted that sometimes the waiting-for-pick-up time displayed is not always accurate, so you might have to wait a short while. After the driver has reached your location, he will call to notify you. 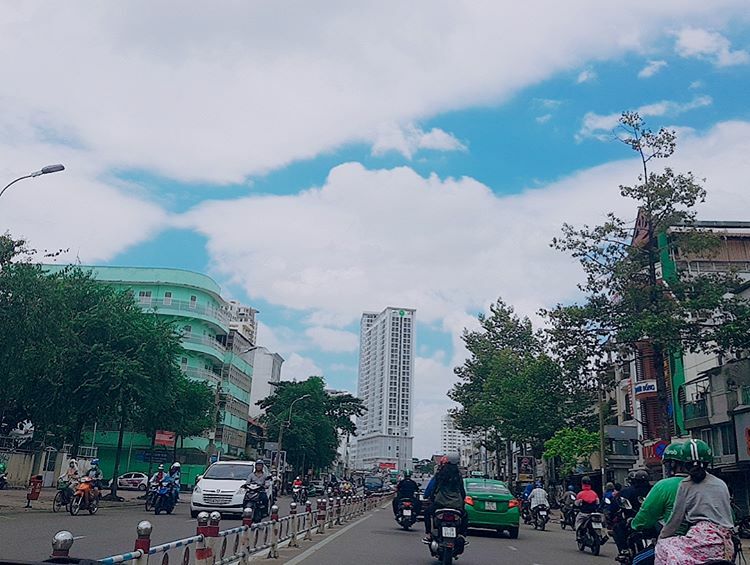 As already established in our guide to Saigon street-crossing, running red lights is far too common, so you probably should not be taken aback if you catch sight of impatient drivers risking their life for a few seconds worth of a head start. 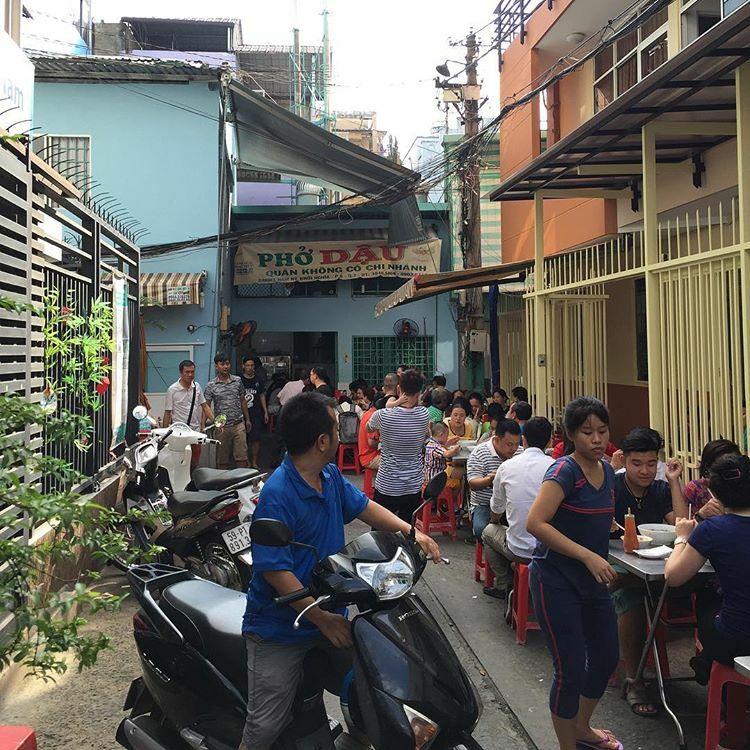 With streets busy as these, running red lights is, indeed, precarious yet normal for your average Vietnamese..
One other thing virtually engraved in foreigners’ recollection is how restaurants use toilet paper for napkin. And indeed, it is quite puzzling why they would use something bathroom-oriented like toilet paper for dining. As a matter of fact, toilet paper is much more economical compared to regular napkin and can serve the same function just as well as napkin does. So, toilet paper is much more versatile than you think. For many local restaurants such as this, TP is used instead of the conventional napkin. There you have it! 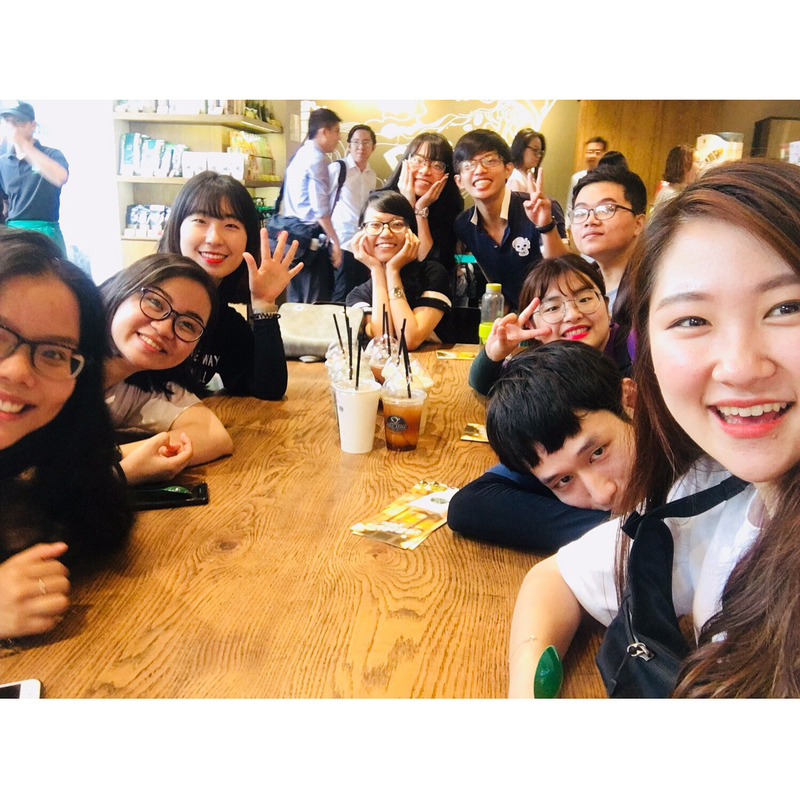 Whether you are a first-timer or a seasoned veteran, these tips will help you navigate the streets of Ho Chi Minh City, prepare you for an amazing time in Saigon and, better still, make your journey all the more memorable.